Classkick facilitates current classroom learning. In Classkick, every student's’ handwriting, whether it’s a 2nd grader drawing a picture or an 11th grader doing physics, appears live to the teacher in a mosaic of working students. The teacher can zoom into any student’s sheet to help them and ask a probing question to redirect their thinking. By the time the student has read and thought through the feedback, the teacher has already swept off and helped 5 others. 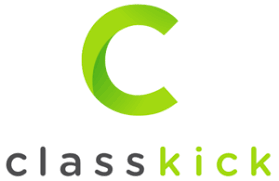 Classkick is a learning management system. Educators can leverage classic to manage their entire classroom experience online. Teachers add drawings, text, images, audio, links, and videos to provide instruction or create assessments. Teachers provide individualized, real-time feedback or allow students to give each other anonymous feedback.